Where can you find Metaio's Peter Meier and Layar's Maarten Lens-FitzGerald on the same panel? At the DLD conference. Video well worth worth watching if only for seeing Lens-FitzGerald's face when Meier declares Junaio as the most advanced AR mobile application. Why so many AR apps fail in the real world (via @genebecker). I think that statistically speaking, AR apps are no worse than "normal" apps. There are a few topics that I've been planning to write about for months (if not years). One of them is the role sports enthusiasts (joggers, swimmers, bicycles fanatics) may have in the adoption of augmented reality head up displays. The recent onslaught of hi-tech ski goggles was the push I needed to finally do something about it. Instead of writing a long post (which many won't read), I'm trying something new here. I've created a short presentation with only a few words that describes my views. I would be very happy to hear your comments on this format. If you like it, I'll create more presentations on other subjects. View more presentations from rouli. What do you think? Am I completely off my mark here? It's way too long for me to read, but it looks quite promising: PSFK's Future Of Mobile Tagging Report. "Live Butterflies" allows you to go outside and see virtual butterflies around you. Now we can go on and push the real ones to extinction. 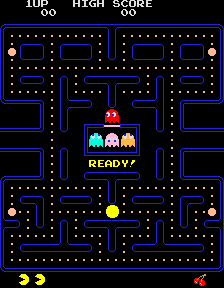 2004, researchers from National University of Singapore's Mixed Reality Lab, led by Adrian Cheok, create Human Pacman, a first person version of the classic game, that lets you play the classic game with an augmented reality twist. This twist also means that you have to carry a laptop on your back and wear a HMD on your head. Recon's ski goggles with built in display, gps and other sensors, and as this video shows, you can even add a camera to it. Imagine what a talented hacker can do with this setup. Tom's annual "augmented reality year in review" is once again the best summary of 2010 from the AR perspective. However, if you just can't get enough, here's Synthetic-Toys.com summary. Here's yet another amazing AR project utilizing the power of Kinect's sensor. Tobias Blum and Prof. Nassir Navab of TU Munich used a Kinect to overlay CT data on a person in real time, transforming a big screen into a magic mirror. It's also a good party trick for Halloween. More info here. Just playing around with Google Ngram viewer. If you didn't get to try it yet, it's a tool that shows the number of times a phrase appears in a big corpus of books that Google scanned. Unfortunately, Google's database stops at the critical point, two years ago, right before the big buzz around AR started. Still, one can appreciate how quickly VR moved from the scientific lecture to popular lecture, while AR is taking its time. Layar and int13's ARDefender selected as apps of the year on SamsungApps. DOMO, Tonchidot's newest project, aspires to enable transparent society, where you could see everyone's thoughts and interests. On the same topic, Metaio give their own 2011 predictions. You can also find some AR predictions for the next decade on Joe Ludwig's blog. What a better way to start the new year than playing a round of augmented golf? That's exactly what the students at Rochester Institute of Technology thought when they came up with this game that doesn't require an entire fairway.